The Masterpiece Gravity from Swiss company Maurice Lacroix pushes the creative boundaries of an absolutely expressive timepiece. 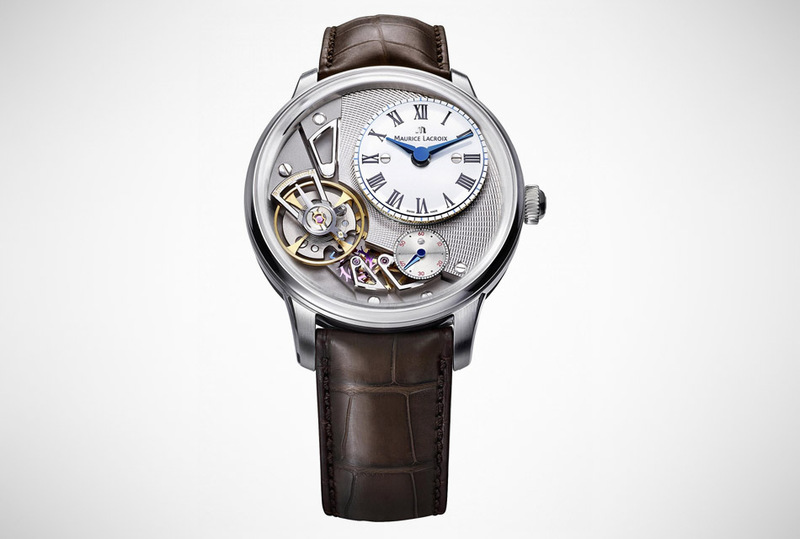 Unique in its beauty, hours and minutes are displayed on white lacquered dial while another smaller dial at 4 o’clock displays the seconds in red Arabic numerals printed on second track. It features 35 jewels and sports a genuine crocodile skin strap with either black or brown calf skin lining and stitching.